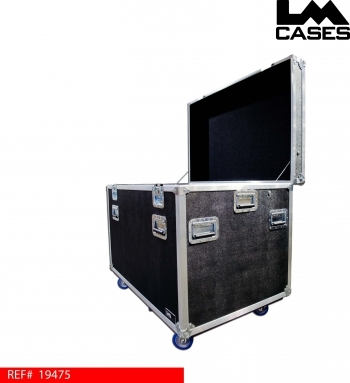 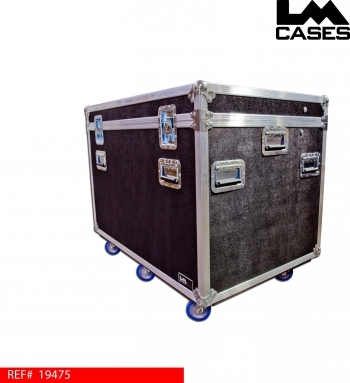 This case was built for Pete's Big Tvs, the case is our standard Cadillac size of 43.75" x 21.125" x 29.375". The case us built out of 1/2" plywood and features airline cable lid stay, 6 - 4" casters & 10 handles. 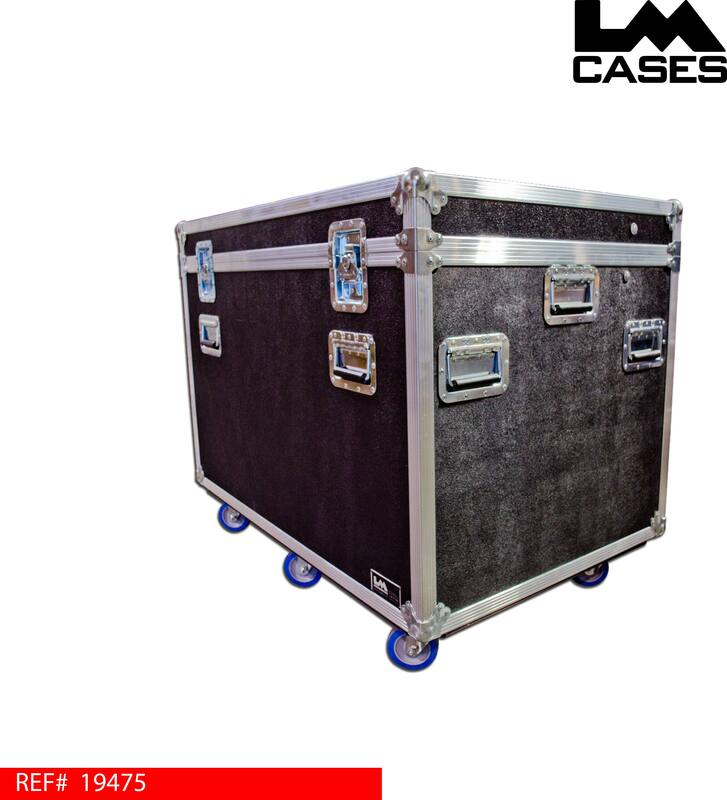 Special thanks to Pete's Big Tvs.